Things get a little kerr-razy up in here. We check out some new titles this week and review a lot of other favorites. You can hear Ep. 153 right here. 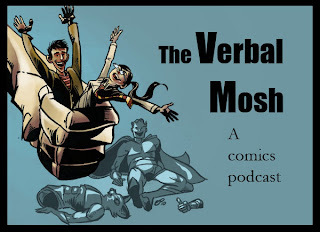 The Verbal Mosh is a comics podcast. On this week's episode, we review Batgirl #6, Captain America #8, Conan the Barbarian #1, Green Lantern #6, Scarlet Spider #2, Superboy #6, Thief of Thieves #1, and Wolverine and the X-Men #5. Last week, Tash picked Winter Soldier #1 to review on the site. Check out what book Olivia chose as her pick for this week.